Boat is located in Sodus,New York.Please contact the owner @ 315-483-four zero six one or raineedaze2(at)verizon(dot)net…1954 Chris Craft Holiday 20ft with tandem axle trailer. 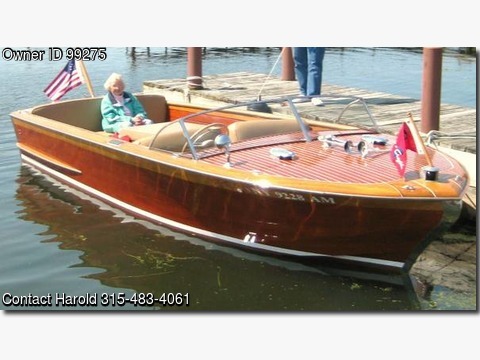 The boat is blonde & mahogany with tan interior and original KLC engine, runs very good , looks great and always garage kept, in very good condition. asking $25,000.00.NO LOW BALLERS!